The new tougher, smarter and safer 19MY Triton hasarrived after being 'Engineered Beyond Tough'. The latest generation dynamic shield integrated intothe Triton face to give it a tough and robust ?squarer? look and design. For almost 40 years the Mitsubishi Triton has helped Australians get the hard jobs done. Engineered to deliver power, performance, 5-star safety, towing and the latest technology, this is one tough ute that nothing can frighten... Your search for a new car is over! You are lookingat a quality vehicle that comes with a point of difference, our ?Sales Advantage? for purchasing through us ? the biggest dealer on the Sunshine Coast.. 1. 110% Price Guarantee on sale price of vehicle (if you see it lower, we will pay the difference PLUS 10%). 2. Guaranteed to beat any other lenders repayments (like for like loan). 3. + 3 Years warranty on top of Manufacturer?s warranty. 4. Heavilydiscounted on-going service costs. 5. Free Roadside Assist. 6. Free Service Loan Cars + Saturday Servicing. 7. 20% off Comprehensive Insurance. 8. Upto $100 Tyre Bonus. 9. $300 Gift Card for any successful referrals... Our service and support is second to none, and weseek to exceed your buying expectations with a nofuss and simple approach to sales that are underpinned by great customer service.. When submitting your enquiry, feel free to requestan obligation free phone consultation with one ofour on-site finance managers to discuss a range of repayment options and low weekly repayment planstailored to you and your needs. As a trusted andaward winning new and used Car Dealer for over 20years on the Sunshine Coast, you can confidently enquire further knowing you will be looked after like a real customer ? put us to the test! We look forward to exceeding your expectations. 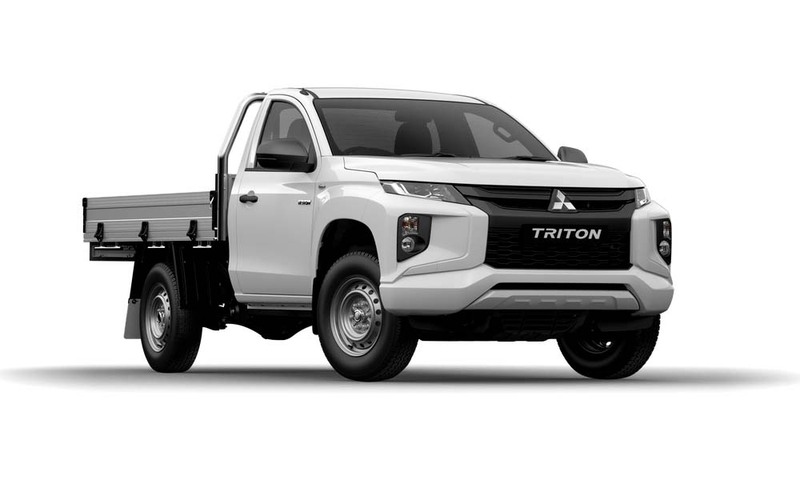 I'm interested in a New 2018 Mitsubishi Triton GLX Single Cab Chassis 2WD (stock #M20047).